The Autonomous Republic of the Crimea is part of Ukraine. It has its administrative symbols: the emblem, the flag, and the anthem. 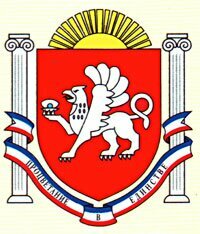 Centre - the city of Simferopol. The territory is 27,000 sq. km. The population is 2.218.400 (as of 01.01.2006): urban population - 1.415.900, rural - 802.500. The administrative-territorial system of the Autonomous Republic of the Crimea comprises 14 districts, 18 towns, 57 settlements, and 986 villages. 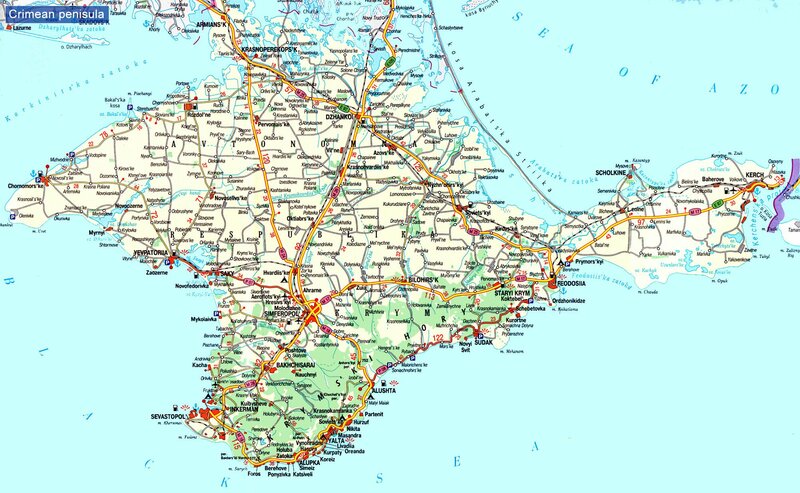 The city of Sevastopol has a special status; there are 11 towns of republican subordination and 6 towns of district subordination. Representatives of more than 80 nations and nationalities live in the republic. The most numerous of them are the Russians, the Ukrainians, and the Crimean Tatars, among the small ethnic groups there are the Karaites and the Krymchaks, the indigenes ot the Crimea.